The 2014 Maiden girls were moved this week into the clean paddocks in order to ready themselves for mating which will start immediately shearing is finished. At TOFT we always as a rule try and leave our females to mature fully and mate them at two years of age. 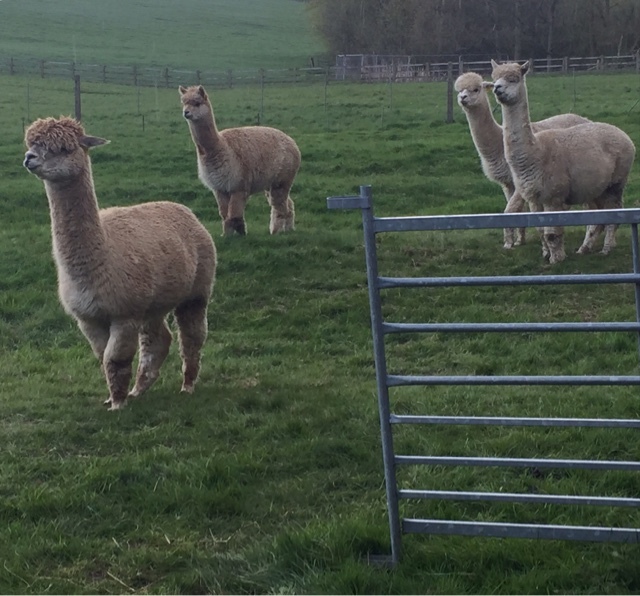 There are some female alpacas which mature early and we know some breeders mate their girls anywhere from 12-18 months. For some girls this works fine but at TOFT we are looking for our females to produce elite Cria every year for at least ten years so we don't mate them until they are 2. So here they are in the new paddocks looking for the big boys. Keep looking girls we start shearing on the 11th of May! All the TOFT Weaners have been moved onto fresh pasture in the last couple of weeks. These paddocks consist of un harrowed winter growth which has been left for six months to settle giving them enough new grass growth to get him through to shearing without their fleeces collecting any surplus vegetable matter. At TOFT these days all our cria are under 20 microns AFD in their first fleece, which is a fantastic achievement and a credit to their pedigree but it comes with the additional problem -these superfine fleeces will, if not looked after and managed properly, collect every but of dry matter out of their paddocks and make them unusable it we are not careful. We do our best adn hope that we can remove any excess that has gathered in these wonderful fleeces at shearing. We shear the second week of May so we have a bit to go yet. 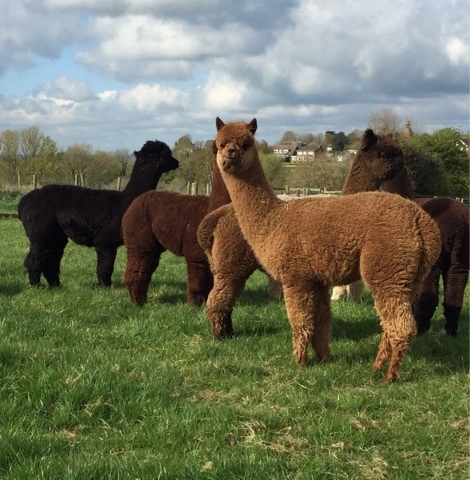 Popped into the Heart of England Alpaca Fiesta yesterday at the Bury Farm Equestrian centre, Slapton near Leighton Buzzard. 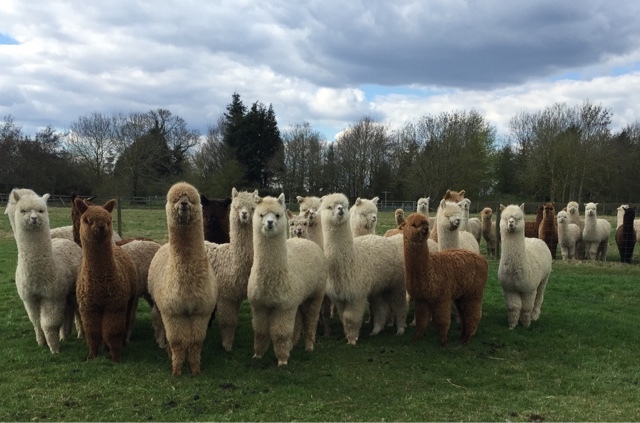 Always amazed to think back to 2000 when we managed about 48 entries in the first BAS Alpaca Show at Purston Manor Brackley. 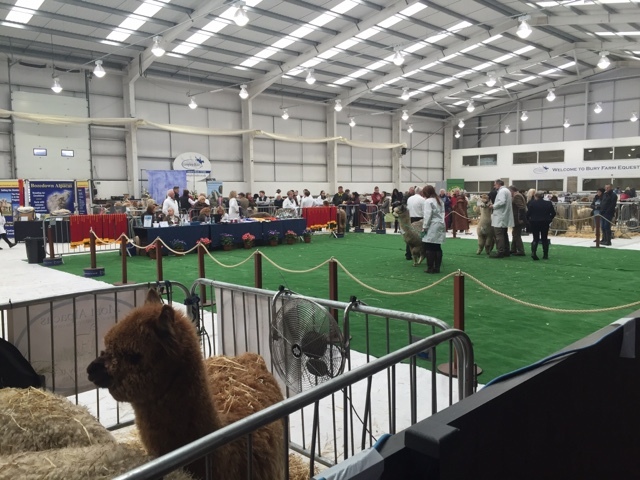 Some exhibitors actually carried their alpacas into the ring to be judged and carried them out again. 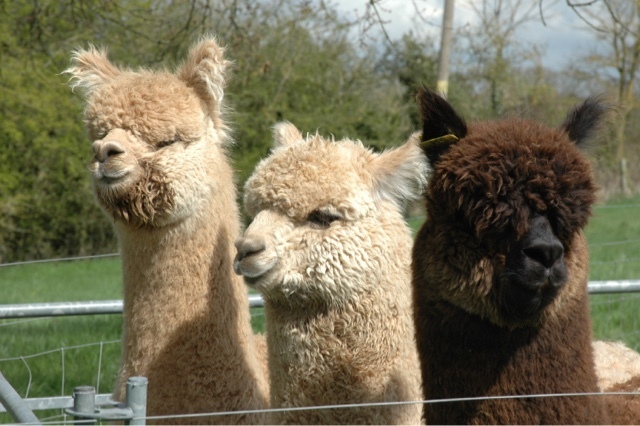 At that time there were less than 2500 alpacas in the country and halter training was in its infancy. The learning curve had only just begun. 16 years later and the Heart of England Fiesta attains over 300 entries 24 hours after they opened for bookings. 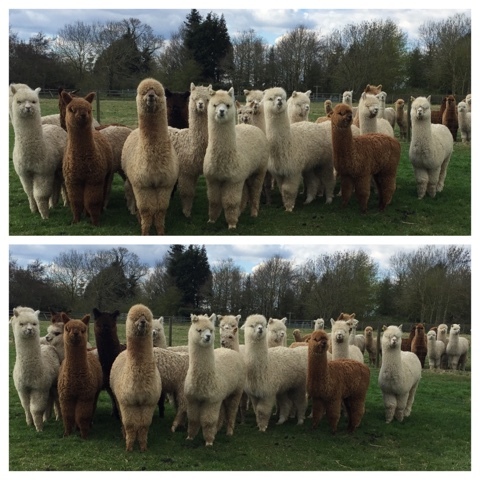 I think it's now safe to say as we approach our twentieth year of breeding alpacas that our South American friends have secured a permanent presence in the Agricultural landscape of the U.K. All we have to do now over the next 20 years is start to move to a more commercial fleece producing operation to add real value for the breeders to this magnificent fibre. Onwards and upwards! Busy old week on the Manor as we hosted the BAS level 1 Judge training course here at TOFT. Course Tutors were BAS Judges, Liz Barlow and Jay Holland, Shirley was observing so she can tutor in the near future and yours truly was on domestic duty, catering, handling and support service. 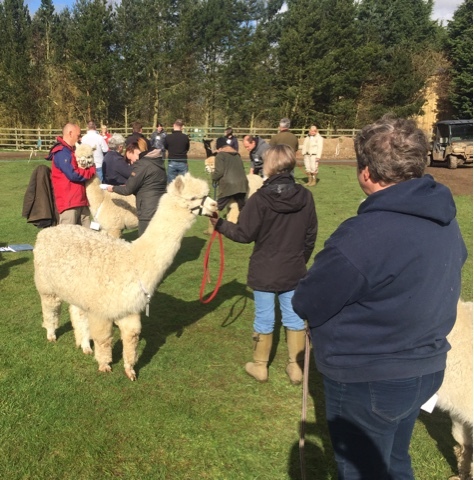 A massive thanks must go to our herdswomen Linda and Freya who'd did a great job of organising the animals and to the handlers who came from far and wide to help lead and hold the alpacas for the prospective judges. A great three days of learning and fun on the Manor. The delegates all went home exhausted but wiser than when they arrived. We thank then for their good humour throughout and wish them all the very best as they advance through the various BAS judging levels.